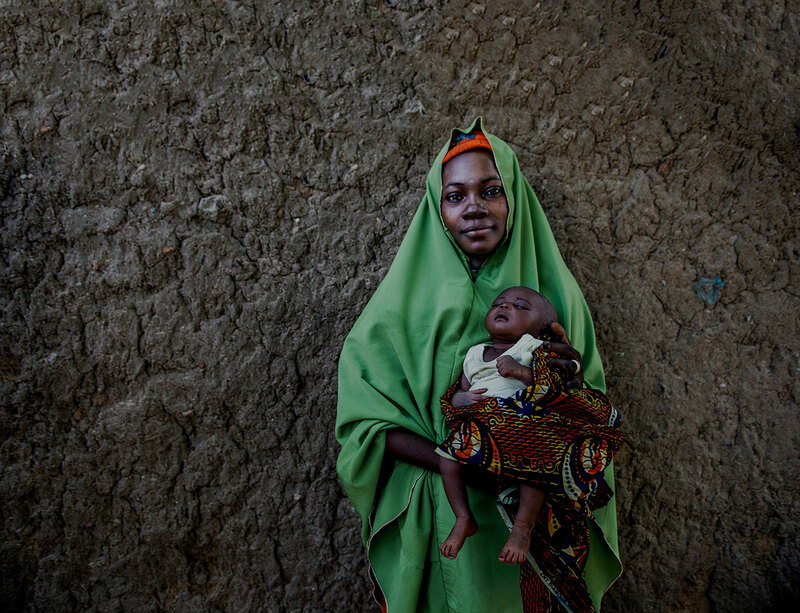 MCSP’s Health Systems Strengthening and Equity work aims to address system-level barriers that directly affect high-quality, facility-based MNCH services in Nigeria. 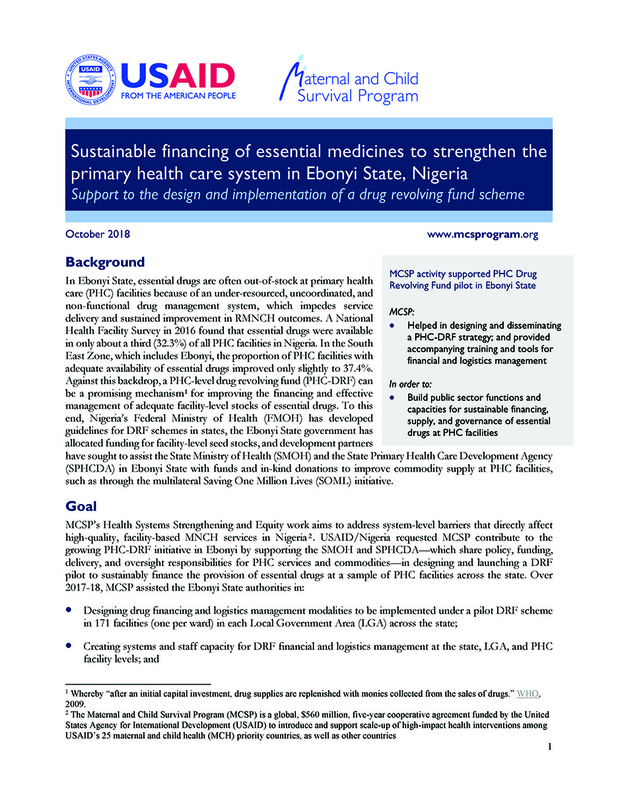 USAID/Nigeria requested MCSP contribute to the growing primary health care- drug revolving fund (PHC-DRF) initiative in Ebonyi by supporting the State Ministry of Health (SMOH) and State Primary Health Care Development Agency (SPHCDA) —which share policy, funding, delivery, and oversight responsibilities for PHC services and commodities—in designing and launching a DRF pilot to sustainably finance the provision of essential drugs at a sample of PHC facilities across the state. Developing routine governance and monitoring capabilities for ongoing management of the DRF scheme.